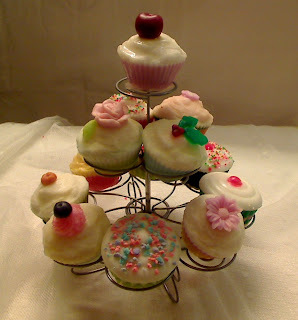 ~Soap Paradise~: Cupcakes without calories! There is something about cupcakes I can't resist. I am making 60 cupcakes for my mum's birthday and I thought I'll share with you some of them. They actually make a very nice bar of soap. The contour of the base with the grooves make it really easy to use, no worries about dropping your soap. 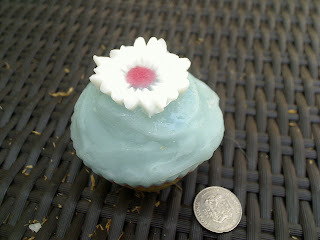 They weigh between 120 to 150 gms and they are the same size as real cupcakes.